754 unique opportunity to redevelop a historic palazzo, of 1'000mq. with several hectares of land. This is a unique example of a noble palazzo, left incomplete, in a panoramic location. The building is simply an extension of the adjacent 17th century palazzo. The extension work started in the 18th century and came to a standstill during the WW2. The property finds itself in a good state of repair, thanks to the maintence by the present owners over the years. This is a unique opportunity to redevelop a historic palazzo, of approx. 1000mq with * nearly 1 hectare of land*. The structure could lend itself to several development ideas, from an elegant hotel with grounds, pleasingly spacious palatial, private home or luxury residential units. The building is structurally sound. 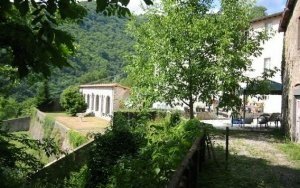 The property is on the edge of a pleasing noble hamlet of the Garfagnana. Splendid house in the town of Camporgiano. 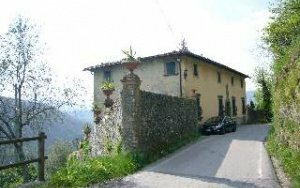 Noble villa near to Bagni di Lucca with panoramic terrace and two outbuildings. Splendidly renovated villa with apartments, garden and pool. Positioned on the outskirts of Barga. Recently constructed property built in private olive grove on the outskirts of the city. Period rustic property with grounds in need of some restoration near to Lucca. A 50s small villa with art déco details, located in residential area in Barga, Lucca. 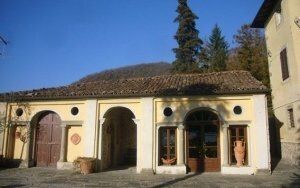 Splendid historic villa, in a good state of repair, situated on the outskirt of Barga, Lucca. The Silk Villa on the outskirts of Lucca, set on three levels with two entrances with pleasant garden spaces.